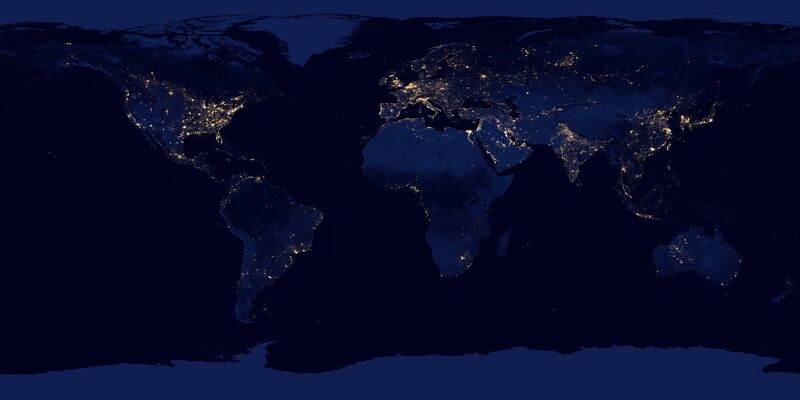 "Light Pollution" is a form of environmental degradation in which excessive artificial outdoor lighting, such as street lamps, neon signs, and illuminated signboards, affect the natural environment and the ecosystem. The wasteful light emitted directly upwards or reflected upwards from poorly-designed artificial light sources can be scattered by clouds, fog, and pollutants like suspended particulates in the atmosphere. The night sky is thus brightened, leading to a reduced number of stars visible in the sky due to a decrease of the light contrast. unnecessary light during late night,etc. To help raise public awareness of some of the issues pertaining to light pollution, the International Dark-Sky Association in collaboration with Loch Ness Productions created “Losing the Dark”, a 6.5-minute documentary, introducing the abuse usage of urban lighting and its influences on social, health, ecology and astronomy. The video also suggests some simple actions people can take to help mitigate the light pollution problem. Disclaimer:This website is produced and maintained by the University of Hong Kong and the International Astronomy Union, Office of Astronomy Outreach. The organisation endeavours to ensure the accuracy of the information contained on this website. The information provided by this website is for a general, indicative purpose only. Credits or copyrights are stated for some of the information or images.